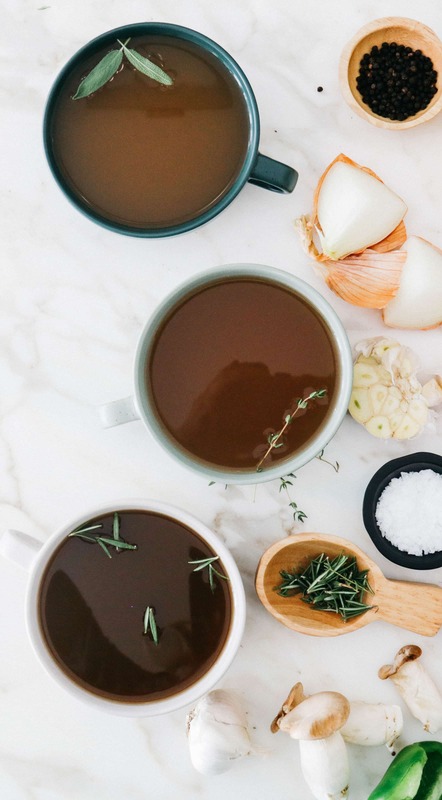 Unless you’ve been living under a rock, you’re probably aware that bone broth has become wildly popular in recent years. 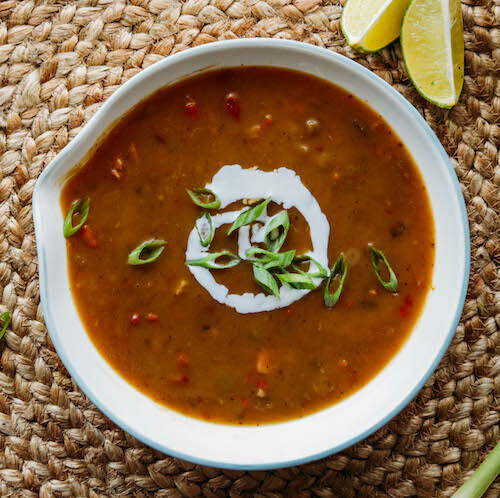 You may have enjoyed it at a trendy broth bar, or even made it yourself. If you haven’t already given it a try, I’d be willing to bet it’s crossed your mind that you should check it out. 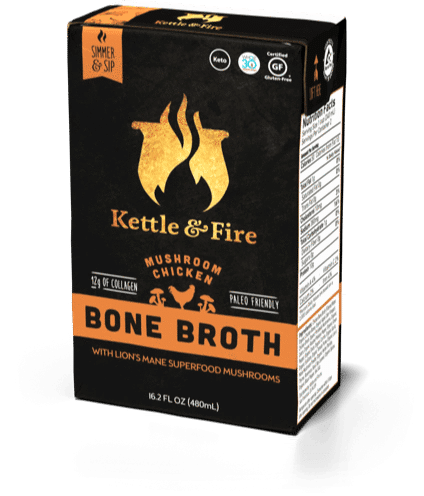 This post will give you the essentials on bone broth and tell you why I stopped making my own at home, and how to save on my personal favorite. It’s no secret that bone marrow and connective tissue is extremely nutrient dense. We evolved to have this type of nutrition in our diet: Homo Sapiens have been consuming marrow and connective tissue as part of an omnivorous diet for hundred thousands of years, and many cultures still do so today. Bone broth, which contains both, has been used as a healing elixir for thousands of years. This golden goodness has been used in Chinese medicine as a digestive tonic, blood builder, and kidney strengthener due to its high collagen content, bioavailable materials, anti-inflammatory amino acids, and special healing compounds that can only be found in bone marrow and connective tissue. And that’s just one example–bone broth has its place in most healing traditions across the world. 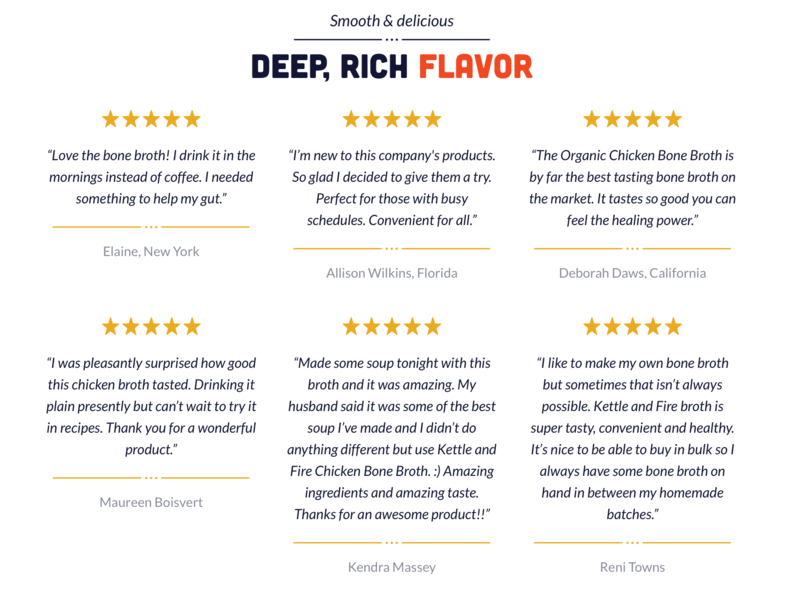 Why is bone broth so good for you? It all boils down to collagen (see what I did there?). 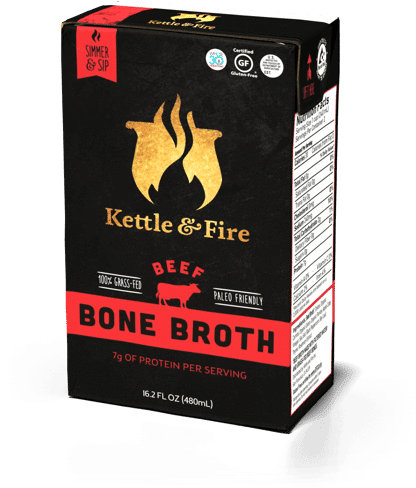 Bones and connective tissue are the only true dietary source of Type 2 collagen – a protein that keeps skin smooth and supple, and teeth and joints healthy. Bones are also loaded with anti-inflammatory amino acids, minerals, and other compounds that can accelerate healing, whether you have a sports injury or a leaky gut. Speaking of the latter, bone broth is one of the top recommended foods for improving IBS, Crohn’s disease, and colitis. The thing about bone broth is that it’s hard to make. Between gathering the bones (which need to be grass-fed and free of antibiotics) and simmering the bones for 24 hours, it’s a project. I wanted to drink it at least a few times a week and it became clear pretty quickly that there was no way I would be able to make enough myself for that to be possible, while also having a life. 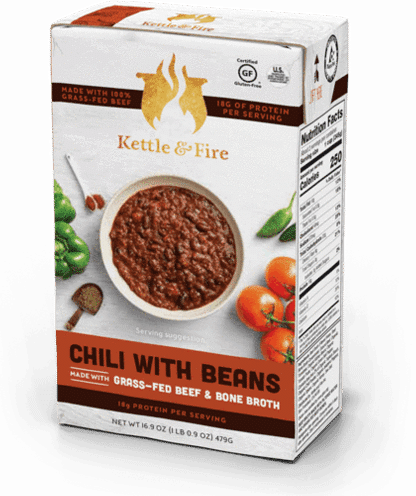 That’s why I am so excited about Kettle & Fire. Their broth is every bit as good as what I can make myself and gets delivered on a regular schedule (optional) which ensures that I always have some on hand. Not only is it affordable, but when I think about the value of my time, getting it from them instead of making it myself is no contest. 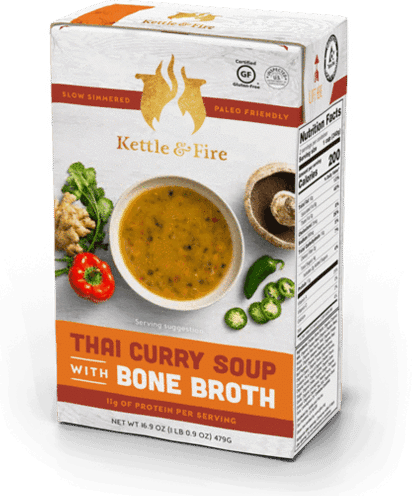 Not all bone broth is created equal, and that includes both the stuff you can make yourself and find in stores. 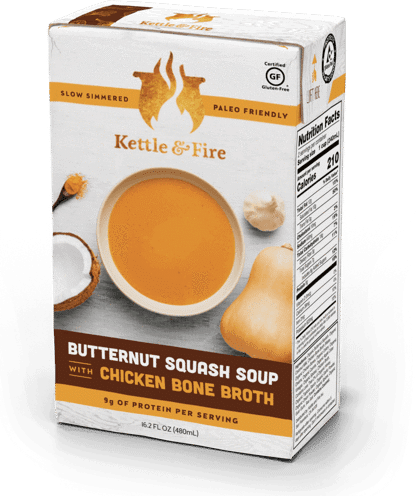 Kettle & Fire’s broth checks off all the boxes: they use bones that are 100% organic, grass-fed and free of antibiotics. 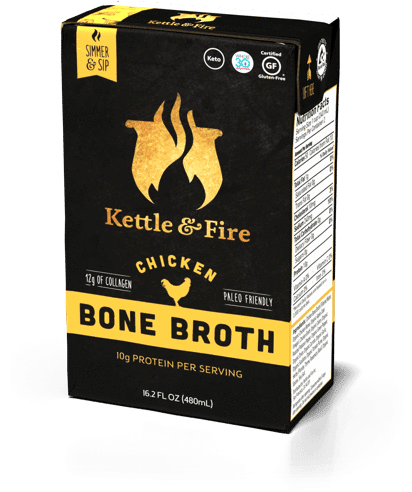 Kettle and Fire’s bone broth is affordable and worth the money, but that does’t mean you should pass up a good deal. Save 15% on your first order with coupon code HUMANFOODBAR. Save 33% when you sign up for monthly deliveries. You automatically get an 18% discount and then you can add the promo code HUMANFOODBAR on top of it. Now that’s a great deal! Check out all of their bone broth products in the gallery below, or start shopping now. 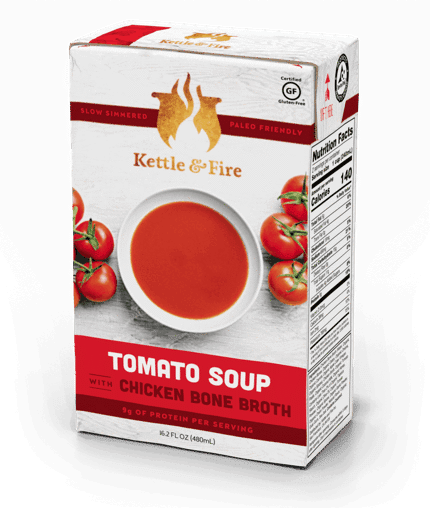 One of the things I like best about Kettle & Fire is that you don’t just have to drink plain broth all the time. If you need more convincing, read the customer reviews at the bottom of this page. If you haven’t already given it a try, I’d be willing to bet it’s crossed your mind that you should check it out. 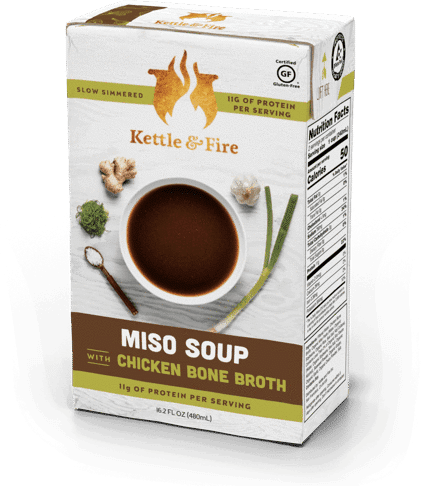 This post will give you the essentials on bone broth and tell you how to save on my personal favorite. It’s no secret that bone marrow and connective tissue are extremely nutrient dense. We evolved to have this type of nutrition in our diet: Homo Sapiens have been consuming marrow and connective tissue as part of an omnivorous diet for hundred thousands of years, and many cultures still do so today. Bone broth, which contains both, has been used as a healing elixir for thousands of years. This golden goodness has been used in Chinese medicine as a digestive tonic, blood builder, and kidneys strengthener due to its high collagen content, bioavailable materials, anti-inflammatory amino acids, and other healing compounds that can only be found in bone marrow and connective tissue. And that’s just one example–bone broth has its place in most healing traditions across the world. 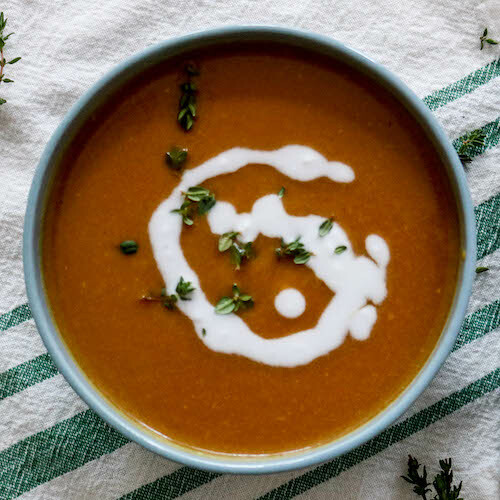 Bone broth is also loaded with anti-inflammatory amino acids, minerals, and compounds that can accelerate healing, whether you have a sports injury or a leaky gut. Speaking of the latter, it’s one of the top recommended foods for improving IBS, Crohn’s disease, and colitis. The thing about bone broth is that it’s hard to make. Between gathering the bones (which need to be grass-fed and free of antibiotics) and simmering the bones for 24 hours, it’s a project. I wanted to drink it at least a few times a week and it became clear pretty quickly that there was no way I would be able to make enough for that to be possible. 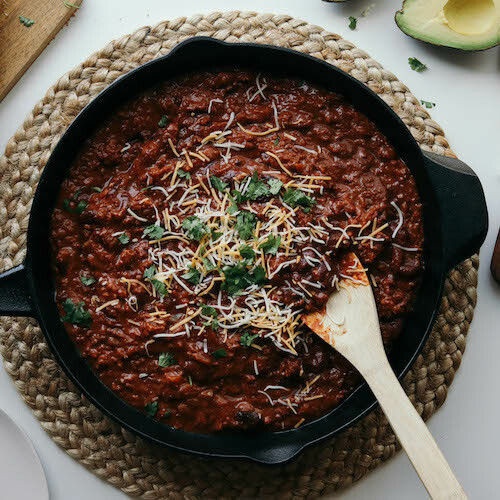 Save 15% on your first order with promo code HUMANFOODBAR. Check out all of their bone broth products in the gallery below, or start shopping now. One of the things I like best about them is that you don’t just have to drink plain broth all the time. If you need more convincing, read the customer reviews at the bottom of this page.